We have been interested in the relationships Chinese and Taiwanese artists have with places — their home countries and homes away from home, in particular. We’ve always known that for these artists who live in New York, the relationship is a complicated one but typically thought about it in the macro context of being foreigners or from the cliché that it’s not easy being an artist. An invitation we received from HATCH Series last week to an upcoming event and ensuing conversations with the curators prompted us to reconsider these generalizations. Founded by Minna Son and Nana Yu-I Lee and based in Greenpoint, Brooklyn, HATCH Series fosters a diverse and inclusive community and seeks to understand “the wider implications of creative cross-pollination in urban spaces”. 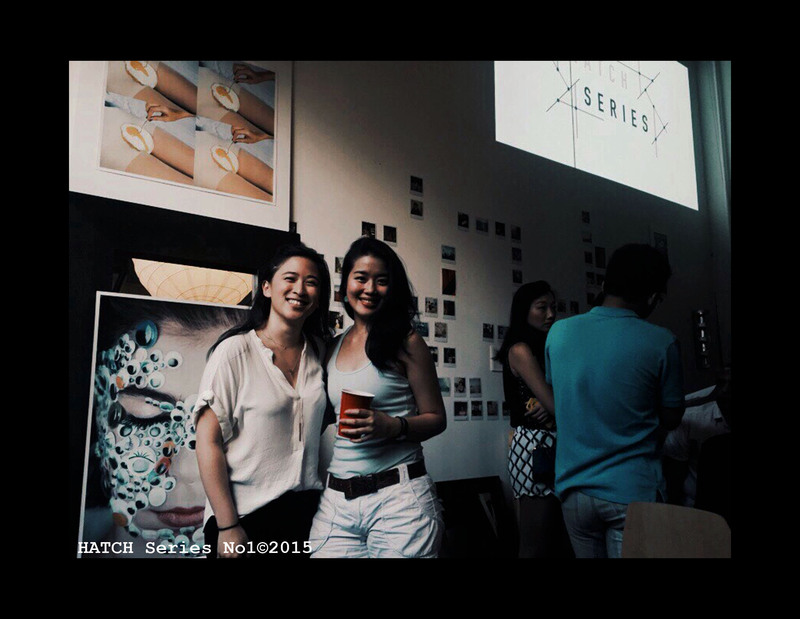 Their first event, Selfhood: Beyond ______ Archetype invited artists to speak about identity. Extrapolating from this, their second event, Between the Concrete, to be held on Saturday, August 1, looks at the artist in his or her environment and asks, “Does the city make the artist or does the artist make the city?”. Featuring Raluca Ancuta, Laurel Atwell, Louis Dorantes, Wenjie Han, Brooke Herr, Michelle Carolina Levie, Kuo-Chiao Lin, Jacqueline Jing Lin, Colin LoCascio, Ryota Sato, Xian Tao, and Hello Velocity & Amelia Zhang, the show presents 1) a snapshot of how creative individuals live, consume, and produce the city – and ultimately become an integral process of the urban fabric, 2) how new ideas are inspired by such close exchange within the urban creative cluster, and 3) the social issues intensified by the same proximity in breathing space. Some of their experiences may overlap with or draw from themes of identity, displacement that recur in works relating to places, but we’re particularly interested in HATCH’s emphasis on the artists being a living part of the living city. Visit HATCH’s exhibition page for more information about the artists and the Facebook event page for additional information and updates. We talked to Minna and Nana to learn more about HATCH and Between the Concrete. There’s an academic tone to their inquiries and presentation — Minna holds a B.A in Critical and Visual Studies, Pratt Institute, and was a curatorial intern for the Asian Art Initiative at the Guggenheim Museum; and Nana recently received her M.A in Arts Administration, Columbia University and was a Corporate Development intern at the Guggenheim. Initially intimidated, we were soon charmed by their enthusiasm, drawn into their deep curiosity, and shared their desire to understand the symbiotic relationship between the artist and his or her space. Here’s a our interview with them, lightly edited from the original. What is HATCH? How did it come to be? How long have you existed? Why did it come to be? 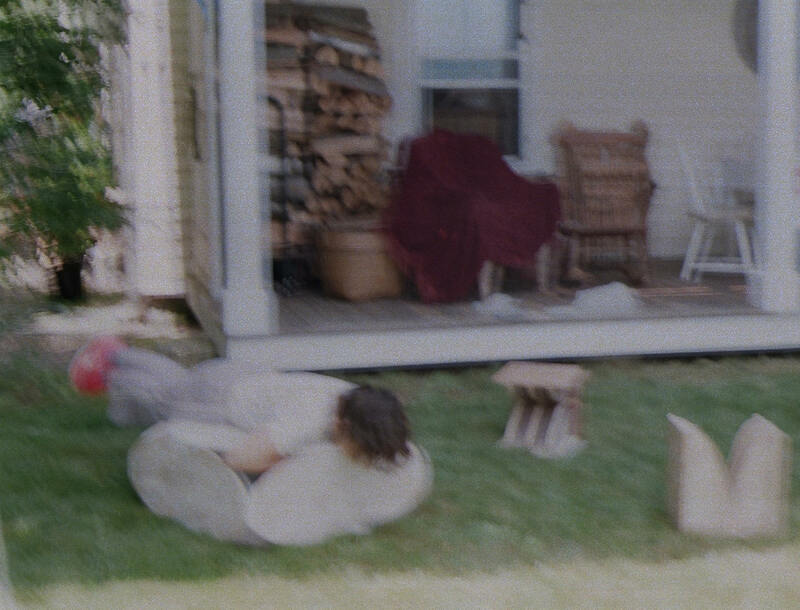 HATCH Series is a creative collective that operates on a community/grass-root model and relies on a mutual help system that depends very heavily on the communications and collaborations with the artists to remain viable. Via pop-up exhibitions and art/social criticism, we​ ​​strive to create a thriving community of creative individuals and urban professionals that critically engages with the contexts we live in. We saw a need for emerging artists and urban professionals in global cities to exhibit their works across disciplines. For this purpose, informal, salon-styled spaces are optimal not only to experiment new ideas, but also to introduce people outside of the arts to these experimentations through a less intimidating/sterilized viewing experience. The setting is also instrumental in providing an ever-changing space for interdisciplinary dialogues that are rarely presented together (in formal settings) in parallels. Through this, we want to celebrate the creative talent of our peers and further strengthen their cross-sector professional network to explore the opportunities and potentials beyond their discipline, by enabling a chance to observe and interact with fellow creatives and the audience. Your press materials note that HATCH is a Taiwanese artist collective and founded by two Taiwanese expatriates. Is there a reason for highlighting this and does it inform your mission and curatorial vision? We are particularly interested with post-colonial conditions, and the way of which art and culture is produced within different sets of power structures. We focus on the various aspect of the creative ecology and try our best to unravel the layers of perspectives to provide pluralistic ways of seeing in this context. While HATCH is not [emphasis theirs] a Taiwanese-centric collective, the fact that we are both Taiwanese expatriates facilitates us with a unique intercultural background, providing a nuanced perspective that informs the way of which we curate HATCH exhibitions and programs. Where did the idea for Between the Concrete come from? We believe as a community-based collective, we have the responsibility to respond and engage with our viewers and artists in a way that is relevant to our specific moment in time and place. Inspired by the ideas and trends explored by several artists from HATCH Series No. 1 | Selfhood: Beyond ______ Archetype, we felt that there was something interesting in terms of the artist’s interest in the construction of space – both metaphorically and in a realistic sense of our physical environment. As individuals were naturally inclined towards making sense of and constructing meaning within the complex terrain they are situated, we wanted to leverage HATCH Series No. 2 as an opportunity to highlight this relationship between people and their environment, including the communities they belong to and the physical space they occupy – that goes beyond the surface of an idealized/romanticized understanding of what it means to live and work in a contemporary metropolis. We felt that this would be a relevant theme that artists, writers, and viewers can engage with, since it is a part of our mission to highlight the very unique circumstances of which creative individuals are producing works in global cities and urban environment. Between the Concrete looks at urban community and space and the feelings, behaviors, and ideas that develop from them. What are some of the things that come out of these urban creative spaces? Do these feelings, behaviors, and ideas stem naturally from individuals or are they provoked by the environment? These are all ideas that we explore in the exhibition. As seen in the array of different works and practices of each artists, there is no single concrete formula that is all encompassing. From closely communicating with our featured artists, we have found a symbiotic relation that exists and can be seen in how ‘urban space’ is both a given set of circumstances and at the same time a social construct – that is to say, the livelihood and daily artistic production of the creative individuals occupies a central stage in constructing the ‘image’ of the city as much as the socio-cultural fabric of the cityscape molds the individuals that come to inhabit it. Therefore, we come to understand the urban spaces as a convoluted idea clusters with fluid layers of meaning. We invite our viewers to consider each artist’s work on its own terms as well as in clusters and as a whole to gain broader perspectives of what it means to be a creative individual producing work in an urban setting. There aren’t any decisive answers – more so, we want to provoke a sense of curiosity in our viewers to wanting to grasp at the many contradictions and overlapping concepts that are indicative of this condition. Tell us about the artists in the show. As with every exhibition, we aim to showcase a range of different creative outlets, mediums, and practices. For HATCH Series No. 2| Between the Concrete, the artists presented are more experimental in terms of their choice of medium to explore the broad theme of Urbanism. To stay faithful with our mission as a community-based collective, we take the response of our audience and participants to heart and view it as an assignment each time to challenge ourselves in reflecting these feedback. After our inaugural show HATCH Series No. 1 | Selfhood: Beyond ______ Archetype, we received encouraging feedback which showed that our community enjoyed the way we challenge the boundaries of disciplines, space, and ideas – and wished to see more experimentation in terms of medium. As a natural segue into ‘urbanism’ for HATCH Series No. 2 | Between the Concrete, we have a steel-based installation piece by Michelle Caroline Levie to reflect the constantly changing construction of the city/cityscape. Several experimental multimedia pieces (respectively by Jacqueline Jing Lin, Ryota Sato, and Hello Velocity & Amelia Zhang) emphasize the need to better render the surreal perception created by billboards and cameras – and challenge us to think about the issue of privacy as the double bind of such surrealism. We also included a few garment pieces (by Louis Dorantes and Colin LoCascio) to play with the concept of ‘urban fabric’ and socialized understanding of identity in urban environments. As to Laurel Atwell, she will portray her conflicting senses of being in an urban environment with several performance pieces throughout the event. Beyond the immediate community of New York as a whole, we have also included works from artists who reside in other cities and whose works deal with the very different living conditions that contextualize the idea of urbanism. This can be seen in the works of Raluca Ancuta, a San Francisco-based analog photographer, who documents and examines how ‘space’ is created and manipulated by human intervention, or Wenjie Han, who examines the relationship between communities and the process of rapid urbanization in China. Each of the featured artists have created work that deals with the concept of urbanism – however, their approach and personal concerns make each piece unique and germane to the theme of Urbanism based on their very individualized understanding. We encourage viewers to consider each artist’s work and practice in its singularity, in clusters, and as a whole. What’s unique about New York creative culture? What’s the opposite of or alternative to the urban creative cluster? Does an urban environment have benefits over the the opposite or alternative? Are there disadvantages? This is exactly what we are trying to explore with HATCH Series No. 2. As a city, New York has historically always been an epicenter that a diversity of creative individuals have flocked towards. While this may not be completely unique to New York, it certainly characterizes a unique circumstance that serves as a catalyst for the emergence of urban spaces. From domestic mass migration to immigration of varying demographics from overseas, New York has hosted generations of people from all sorts of backgrounds and contexts. The photo documentary Lower East Siders: The Gritty and the Kewl of Kuo-Chiao Lin critically brings to light this tension between New York as a creative hub and an oxymoronic co-existence of different waves of immigrants. Your show includes a number of artists from China and Taiwan. Beyond Chinatown has talked about some of their experiences, like questions of identity and their temporary or uncertain immigration statuses. Can you speak to their experiences in New York? Does it change over time? By including a plethora of artists from diverse background, what we want to accentuate is the nuances, fluidity, and performativity of identity – and how this quest of equilibrium influences the works and process of creative individuals. This relationship between identity, origin and creativity can be better found in our inaugural show HATCH Series No. 1 | Selfhood: Beyond ____ Archetype. That being said (in addition to the universal aspect of identity which speaks to a communal experience within each creatives and artist community), we think it’s not easy for many creatives that have moved to New York to pursue careers post graduation. 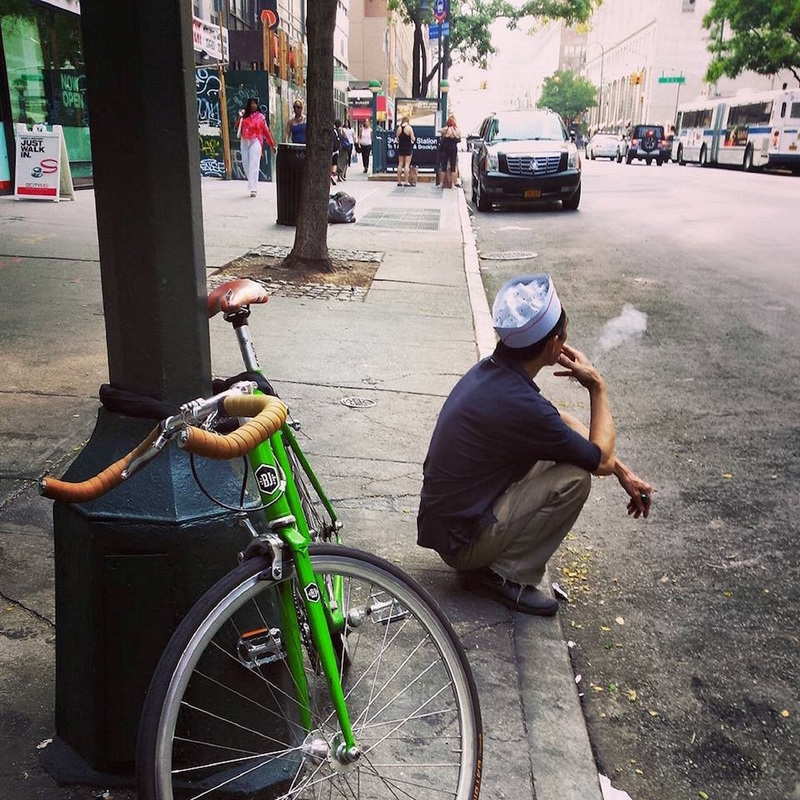 Compared to the hardships of first-generation transplants, what is fascinating about New York is that there are also groups of second or third generation immigrants that face different kinds of struggles for visibility and representation but are not necessarily connected to individuals who have just recently arrived in the US. As we two are intrigued by post-colonial diasporic memories, HATCH Series is designed to be a space where these degrees of tension and opportunities can be equally represented based on the merit of the artists and their works. Are there communities of Chinese artists in New York? Are they cohesive and supportive? How do they connect with others in their own class or others they might not have direct interaction with, such as people from other schools or a different generations (literally generations or a few years ahead or behind them in school)? How do they reach out to the larger Chinese community and to non-Chinese generally? What are the issues facing them? We found there is a general trend in New York, where individuals from different schools and disciplines tend to keep within their own social circles. The fact that the two of us came to know each other seemed more like a chance encounter than anything else, and we wanted to create the same opportunities for others to meet through our HATCH events. The recommendation system of HATCH Series is based on the ideas of ‘Three Degrees of Influence’ and ‘Six Degrees of Separation.’ It is an intention for us to capitalize on the concept of ‘relationship’ and explore the benefits/opportunities particularly in an urban, artistic community – which highly rely on weak social links. We have also observed that (for many) school and their artistic disciplines are the main contact point for Asian creatives to establish their social network. 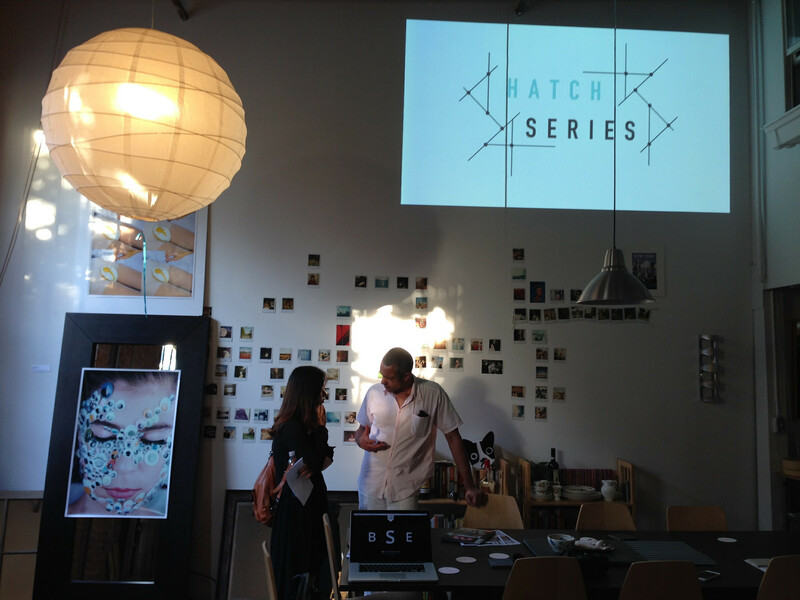 HATCH Series is designed to expose creative individuals to people outside of this close circle – which can be situationally both advantageous and handicapping at the same time. Is there a tendency for Chinese artists to gravitate towards other Chinese artists? HATCH includes both Chinese and non-Chinese artists. What sort of dynamics or benefits do you see from their interactions? HATCH Series aims to go beyond traditional categorizations of both artists and what is considered as artistic practices. Too often are artists and their work excoticzed based on their heritage. While we feel that there is a need for artists from non-eurocentric backgrounds to be represented, our intention with HATCH Series is to provide a democratic space, where individuals, their work and practice is properly contextualized in the way that brings out its intended meaning – be it cultural identity, gender, race, etc. or even threads not related to any of these constructed social categories at all. In the past event, conversations flew between artists from being in the same industry, practicing similar creative discipline, admiring similar artists – and most importantly: what social and artistic issues one is interested in exploring. Separately, we are conscious and aware of the delicate dance between providing a logical thread to connect artists and the sensitivity of pigeonholing their works into a monolithic, stereotypical umbrella of ideas – that might eventually run the risk of clouding the merit of their works. Outside of these exhibition events, what are the activities of the collective? As a young collective, we are trying our best to connect the artists on a social level outside of each happening. The artist panel at 7pm, August 1st prior to the opening of HATCH Series No. 2 | Between the Concrete will be the first time we roll out informal presentations that invite the audience and fellow creatives to have a more structured open dialogue with some of the featured artists from both the first and second happenings. Our blog serves a significant function to provide a space for contributing writers (who work with mediums outside of the visual/performing arts) to also have a place in the overall ecology of our project. In addition to giving a space for writing and literature to be included as a creative discipline, the blog also aims to complete arguments and counter-arguments for thoughts not reflected in the curatorial statements and to timely reflect issues important to our community in-between shows. You’ll continue operating in New York and Taipei. How do the two places differ? Do you see different agendas and directions or will they run in parallel, with unity, or cooperatively? The twin city operation is foreseen to be complementary of each other. We want to echo the concept of ‘glo-cality’ proposed by curator Hou Hanru – a paradoxical duality of localness and internationalism expected and produced by global cities across the world. The future operations of HATCH Series in both New York and Taipei are designed to critically engage this power play, by exploring the role of art and culture in local ecology, under the premise of a global-looking persona for both metropolises. Mini-film festivals and other panel programs will serve as a clearer bridge to connect the two. The exhibitions, artists and blog posts will directly respond to the current events influential to each other. Opportunities are plenty. We are also expecting to have a roundup exhibition in New York at the end of 2016 as an opportunity to reflect on the development of HATCH Series in both cities.